CANBERRA – Despite howls from government ranks, the Opposition Leader is letting Sam Dastyari's donation indiscretions go and giving him a second life as a Labor frontbencher. Senator Dastyari has been hard to find since admitting to accepting a $1670 personal donation from the Chinese Government linked company, Top Education Institute, and then being reported making pro-China comments. The Senator, and former NSW ALP General Secretary, is due to give a press conference in Sydney Tuesday afternoon. 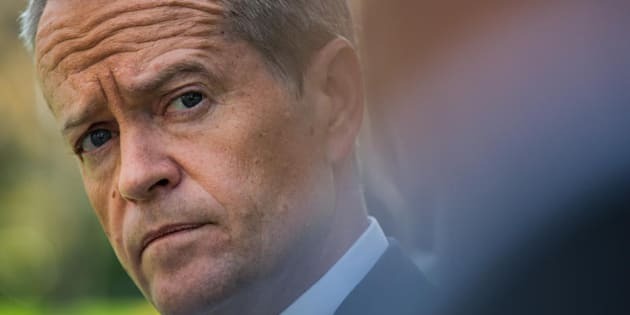 Bill Shorten sought to diminish Dastyari's importance Tuesday as he announced he was not going to demote him, referring to the Leader of Opposition Business in the Senate as a "bright young man" and a "junior senator from New South Wales" who had made an "imprudent decision." "I think the Liberals are paying him a perverse compliment by targeting him so heavy," Mr Shorten told reporters in Melbourne. Labor Senator Sam Dastyari is a "bright young man"
"I have severely counselled him, made it crystal clear I don't expect to see this happen again. He knows he's made a mistake." "I'm prepared to give him a second chance." Prime Minster Malcolm Turnbull has accused Senator Dastyari of "undermining Australia's foreign policy", while Liberal Senator Cory Bernardi has described him as a "puppet" and Senator Brandis said he was "in effect, in the pay of a foreign entity." The Opposition Leader has accused the Prime Minister of attacking a "junior Senator from New South Wales." "(Dastyari's) made it very clear that he supports Labor's policy on the South China Sea," Shorten said. "Mr Turnbull is ducking the real and fundamental issue here which is not policy on the South China Sea." "Why is Malcolm Turnbull so scared of donation reform?" Labor, the Greens and -– on the government side -- Senator Bernardi and Trade Minister Steve Ciobo are using the controversy to urge a ban on foreign donations. Senator Brandis insists it is not the system, it's Sam. "That is a different conversation," the Attorney-General told AM host Michael Brissenden Tuesday when asked about moves to change donation rules. "The issue today is Senator Sam Dastyari." "I think it confuses the issue to speak of this payment as a donation to Senator Dastyari. It was not a donation. It was a gift." "It was the payment of money into his bank account to settle a personal debt by a company with very close links to the Chinese state." 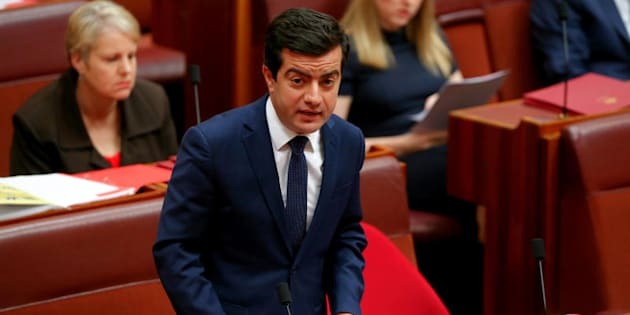 While Senator Dastyari has admitted has was wrong "on reflection" to have accepted the money, he had followed procedure and declared the money, as obliged, on parliament's pecuniary interests register. George Brandis has indicated Senator Dastyari may have acted improperly, "We don't know that yet. Of course he may have." The Greens have long called for an end to foreign political donations and are using the Dastyari controversy in a bid to "rid our polity of external influences." Greens Leader Richard Di Natale has written to the Prime Minister urging an end to donations from foreign entities and corporations as well as strict caps on donations from not-for-profit organisations and individuals.